Ok.guess what was I doing 2 years ago at this day.Guess!! Guess!! I fooled my DBMS professor and was browsing some blogs in my DBMS pracs.I was inspired by some blogs.And of sudden,something struck my mind.My hands clicked the "create blog" button and thats how I got a new blog on 27-1-2007.Now,its been 2 years and my blog has turned 2 years old.Remember,its still a baby blog. This post seems to be a special post as its my 100th post on my blogs 2nd anniversary.To celebrate it in a better way,I am giving awards to all my blogger friends..Enjoy!! This award goes to 3 people. Chriz for the way he writes his posts that induces laughter . Arjun ,another blogger of same kind.He writes posts which will make you laugh.We both are currently working for a series in Writers Lounge. Sandeep Balan,the jack of all trades.Check his mussadi man series. 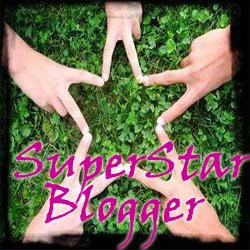 The next award is called "Superstar blogger".It is given to bloggers who are talented and come up with good topics. Shweta for her beautiful poems on Writers Lounge. Prats for her poems on Writers Lounge. Pink Orchid ,again for her poems on Writers Lounge and her wonderful replies. Aarthi ,My good and old friend who recently entered this blogworld. Chriz for the known reasons. Usha ,for her poems and her posts.I am really inspired by her works. Lover.If you wanna know then check his blog. Akansha ,for the tadka's on her blog :p .she writes well. Neha P, for her her thoughtful posts. Shruti ,for her dark poems. Crystal.She is my partner in crime.We both work for a site called "Imaze", where we are responsible for designing templates and headers. Gauri,for her posts and clicks. Leo, for his masterpeices in form of poems. Riversoul,for his poems .He is our leader in "Imaze", a good friend of mine . Yamini akka for her thoughtful poems and write ups. 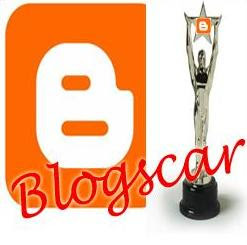 Now ,this award is called "Blogscar".Arjun asked me to include this award .I am giving this award to people who have inspired me by their works. 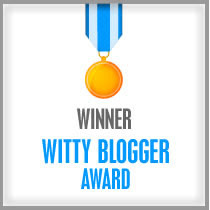 Hey.. Steve.. First of congrats on completing full 2 yrs of blogging.. Thats really something.. And most importantly i should congratulate you for writting so gud.. And inspiring a new blogger like me.. You really rock ste..n thanks for the award ste..its always great recieving it 4m u.. But i have still miles n miles to go :-) . N bout u..Two years of sincere writing. Oh.. I really appreciate this.. Keep writting buddy... Cheers.. You rock..
& allows slowly the magic to unfold! three awards showered on me on a single post..
Hey..first of all..congrats bro.. on 2 years and the 100th post... Projects ur shere interest..!! Gr8..!! congratulations for two successful years of blogging and happy birthday to your blog..!!! congratulations on your 100 posts... may many '0's add it...!!! Happy bday to ur blog!! And thank you for the honour! Making many lives ever more fruitful since then! Thanks for all the awards,mate! I am thankful and happieieie!! run rate to go high? ?